MRL's MTF212 is a budget standard three-rib front tractor tyre from India's Malhotra Rubbers Ltd, which has been making agricultural tyres since 1989.It offers maximum steering control and minimal lateral side-slipping with its high centre rib. Durable nylon cords and tough rubber compounds provide outstanding wear and an easy ride in the field or on the road. 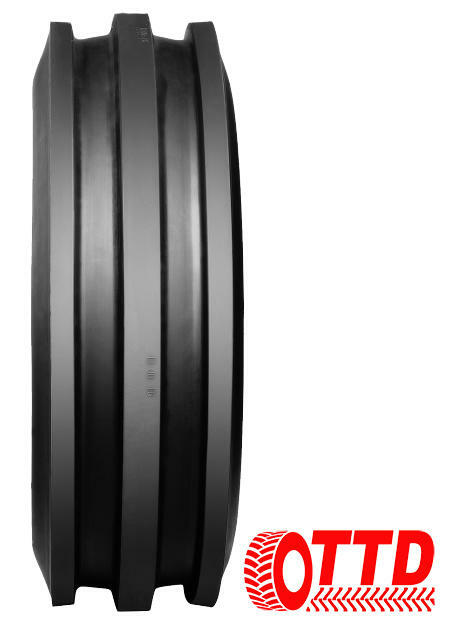 The MRL 4.00-12 / 400-12 / 400x12 is a 4-ply tyre designed for rims 12 inches in diameter and 3 inches wide. It has a load capacity of 224kg at 30km/hr, and the overall diameter (height) is 530mm.